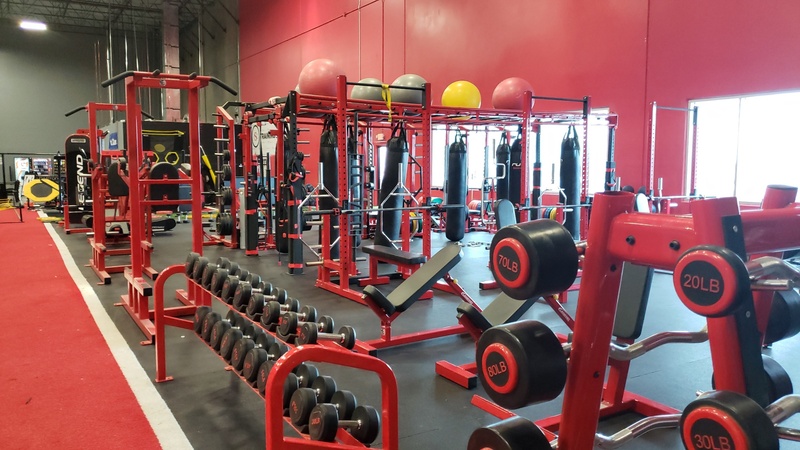 Phoenix, Arizona, October 11, 2018 – ​Challenge Fitness & Sports Performance opened the doors of their state-of-the-art facility today, filling a void in the Phoenix Metro youth athlete training space. Challenge provides high-end workout programs proprietorially formulated to bring athletes and fitness enthusiasts to the next level of speed, agility, strength and performance. Uniquely servicing athletes at our Athlete Factory, incorporating workouts geared toward each sport’s unique characteristics and muscle groups. As well as catering to parents, with proven “Sweat” hi-intensity programs, engineered for one’s personal fitness goals that dramatically achieve results. Having massive success in the Anthem, Arizona market, as Sweat Individualized Fitness, a fitness center that successfully trained over 10% of Anthem’s 32,000 population during their 7+ year run. Rogers, a former South Carolina QB under legendary college football coach Lou Holtz, an elite athlete and accomplished Fitness Competitor, along with his hand-selected team are uniquely qualified to bring Challenge Fitness & Sports Performance to life. Rogers will adapt the proprietary “Sweat” training program that has shown amazing results to over 4,000 fitness enthusiasts into Challenge for his adult customers. The “Sweat” program is focused on weight loss, toning and nutrition in a small group training format, where your skill level is matched with others at similar levels. Rogers and his team have driven dramatic results for his clientele and intends to drive similar amazing results now at Challenge Fitness & Sports Performance. Challenge Fitness & Sports Performance is conveniently located at 425 E. Pinnacle Peak Rd off the I-17 Corridor. Challenge is stacked with the latest Vertimax and Name Brand Fitness equipment as well as artificial turf for vertical from the field to in the gym training methods. Challenge Fitness & Sports Performance aka the Athlete Factory trains athletes, of any age, that have the desire, focus and determination to take their athletic talents to a very elite level. Headed by Josh Rogers, former CFL, Arena League & QB1 at the University of South Carolina (under legendary coach Lou Holtz), Josh's trainers, programs & proprietary methods get you, and your son or daughter to the next level of their athletic skill set!